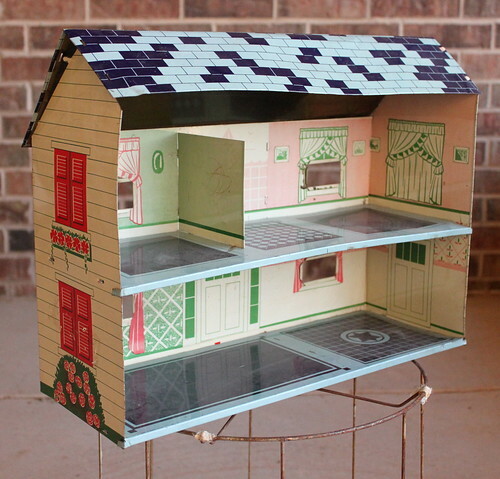 I found the vintage tin doll house, drum lamp shade frame, and sweet little dress at the Feathered Nest in Oklahoma City. My mom took me because she knew I'd love it there and although it's a good mix of handmade, items from Market, and vintage, it was definitely worth the trip. I couldn't believe how inexpensive all three of these items were. Had to share my excitement. Hope they'll fit in the car on the way home. super cool finds!!! that dress is too wonderful. and i shrieked when i saw the doll house ... i used to play with one just like that at my grandma's house when i was little. what kind of furniture did it have? Oooh...I thought of her immediately when I saw it! oooh! i feel happy just looking at the pictures, so you must be floating on clouds... lucky girl! Ohhh the dollhouse is so beautiful!! what a lucky find! The print on that dress is amazing! ps-totally used your template for the dolls, can't wait to give them to my nieces. Thanks for sharing them!! You don't want to miss that store! 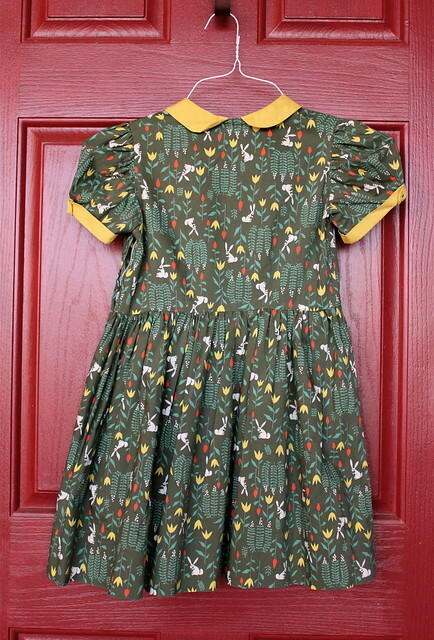 they are just gorgeous finds, the dress is so lovely i adore the print on it. That dress, I can't believe it even exists. In fact I refuse, just to make myself feel better for not being the one to find it. I'm going to pretend that it's a new dress made from an Oliver + S pattern from a Japanese import fabric, trying to pass itself off as vintage. Also: the dollhouse! Oooooo. There is (was?) one of the exact same at the big flea market in my hometown, last time I went. But it was too expensive, like everything else there. $30-60 probably? Or is that reasonable? love LOVE that dress! super cute! Oh, wonderful dress and dollhouse! 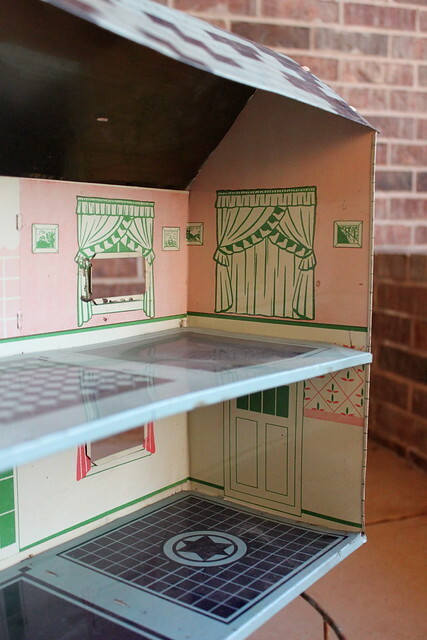 I recently found a tin dollhouse out thrifting for only $3, but it's not nearly as perfectly colored as this one! Oh, my. I had a doll house like that when I was little! Kind of jealous of the doll house ! I LOVE the pattern on that dress. And what a great find that dollhouse is! oklahoma city! i am in home in OK for just a week until heading back to europe.... ps that doll house is too cute. If you like the feathered nest you must go to the Rink! It's my most favorite spot in OKC!!!! 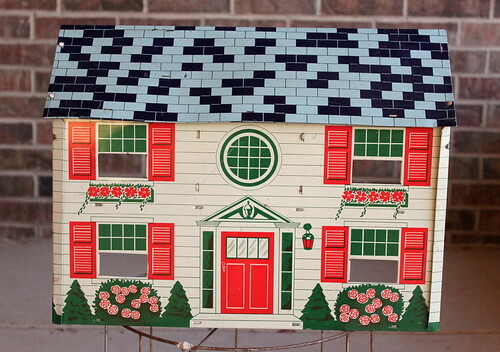 That doll house is identical to the one my mom had when she was little! In fact she just rescued it from my grandpa's farm in fear that he'd chuck it! Too cute! 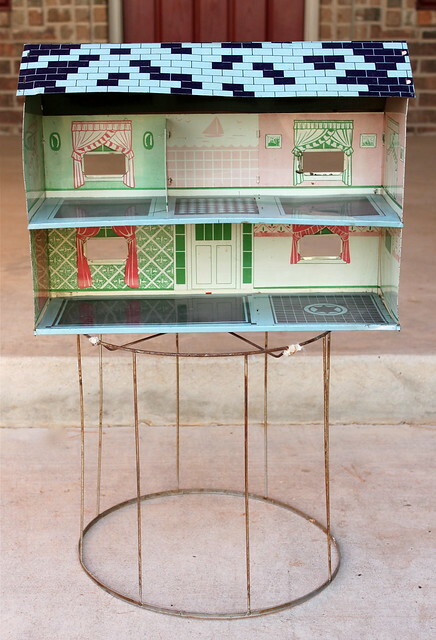 I had the SAME tin dollhouse as a kid. I don't know where my mom found it (I was an 80s child) or what happened to it... We used to turn is on it's side so our Barbies would fit in it! I have tin doll house!! *high-five for spectacular finds! The house...simply precious! I LOVE the feathered nest! I also love Bohemian Spirit and The Rink! Oh my gosh! I am so happy you got to visit OKC! I go to college in Oklahoma and you can find such great stuff in the thrift stores here! Ruby is just going to be ADORABLE in that dress!!! 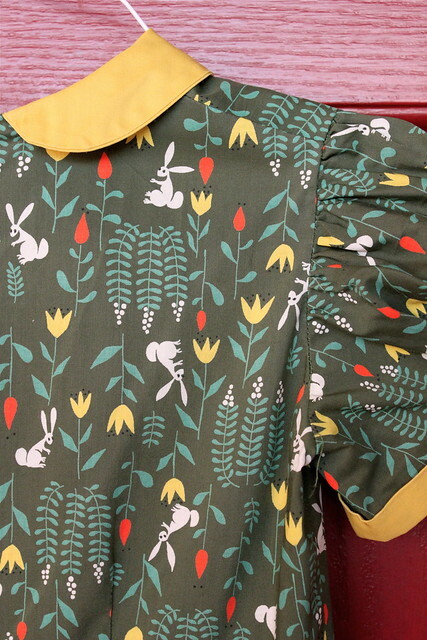 that bunny dress is the cutest thing ever. so perfect for spring.